For Igor Ustinov, son of the renowned actor and filmmaker Sir Peter Ustinov, inventing evolved naturally. An artist famous in his own right for his bronze sculptures, the drive to create and find new solutions was innate. But it was not until he came up against a problem facing his philanthropic organization, the Sir Peter Ustinov Foundation, that he was inspired to patent and commercialize an invention that could help to minimize two of the world’s leading problems: a lack of adequate housing for the poor and widespread pollution resulting from discarded plastic bottles. 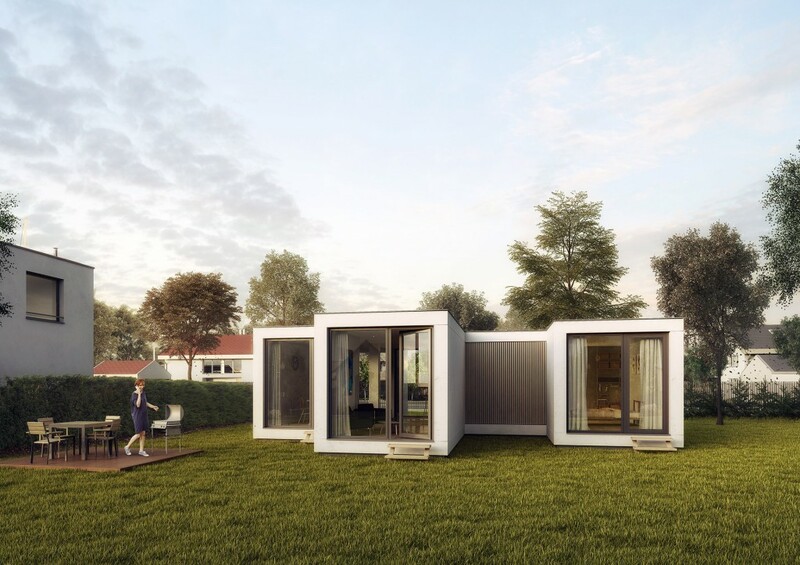 Mr. Ustinov’s PET Modular Construction System, for which he won a cash prize in April from the International Federation of Inventors’ Associations (IFIA) for the best invention exhibited, would cut the cost and time involved in building houses significantly. “At the Foundation, we build schools and orphanages, and each time we had a project I thought, ‘if I had a clever construction system I could build two or three with the same amount of money,’” explains Mr. Ustinov. 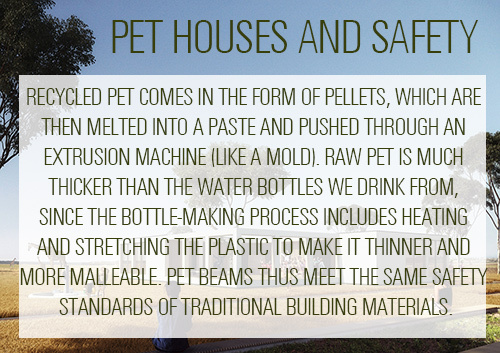 This idea started him down the road to using recycled PET (Polyethylene terephthalate) plastic—the same plastic used to make water bottles—to construct beams that could be easily fit together and used to build houses and schools. He has several granted patents on the system, and plans to partner with a university in the fall to create the first model house. Here, Mr. Ustinov explains how his construction system works and why he believes intellectual property is synonymous with respect. How did you come up with the idea to use plastic for your construction system? When I began to think about how I could solve the problem of efficiency in building schools and orphanages through my Foundation, the traditional materials did not make sense to me. If you use wood, there’s the problem of deforestation. If you use concrete, there is the problem of worldwide sand shortages. So I came to the conclusion that I should find another material, and it seemed obvious to me to use a derivative of plastic. Look at what happened with boats—they used to be made only of wood or steel and everyone thought it was crazy to use plastic. Now, most boats under 100 meters long are made of fiber or plastic, so why not houses? At first I thought I could partner with the major water companies to redesign a line of their bottles in a manner that each bottle would fit into one another to create beams after it was finished being used as a container. I contacted Nestlé and Dannon, but I quickly realized that it would be too complicated and more expensive for them to work with me. So I slowly moved from that idea to the idea of using the raw recycled material and then extruding beams from that that are hollow and designed in such a way to provide good protection against weather. It’s exactly the material a plastic bottle is made of. You can buy recycled PET on the market for about USD500 a ton. We then push it into a mold with a specific shape and create beams that fit one into another. You can construct a house up to two stories using no other material. What are the other efficiencies? IP—which is in a way the same as respect for the individual—is extremely important for the development of economies. Right now, it’s about 30% of the cost of building a traditional house, and I believe that will go down further eventually. It doesn’t weigh much, so two people could build a house on their own. I chose to make the basic design in the form of a cube, but you can build whatever you want using this cubic shape as the basis. It’s also faster, because a beam will weigh around 30 kilograms (about 66 pounds). The beams are hollow, so you can put any kind of cables or wiring inside and then you fill it with earth mixed with a product that prevents anything from growing in the beams and which hardens it. Earth also doesn’t burn, and PET simply melts at 250 degrees. I’m currently working to see if there’s a way to make the PET material even harder. At this point I’m still working on developing the prototype. I have two possibilities for partnering with a university in the fall—here in Lausanne at the École Polytechnique Fédérale de Lausanne, or with the University of Zurich, which is very renowned for robotics and construction. The idea is to build the first prototype and get it as efficient as possible before beginning production. Extruding beams is a fairly simple industrial process once it’s fine-tuned. I don’t want to give the impression that this is a system only for poor communities. Poor people dream of having houses like everyone else, so what I would like to do is make this something that appeals to people everywhere, but that could also be adopted in places with housing crises. I see these working as much as eco lodges in Switzerland or France as I do for poorer countries. This system has two advantages. First, it will help to recycle all of the PET and plastic bottles so they won’t end up in the ocean. This is a dramatic problem right now, with plastic present even in the food chain due to ingestion by marine life. And also it demonstrates that sustainable ecology doesn’t mean you have to be totally opposed to a particular type of material, like plastic—it may just be misused. It’s not the material itself that is a problem, but what people are doing with it. What patents do you have on the invention? It’s very important to have foundations like IPOEF to help promote individual inventors and all of the different inventions out there. I have four or five EU patents and also filed through the Patent Cooperation Treaty (PCT) for international patents. As I went through the invention process I realized that you often start with one idea and then you want to make it better, but you’re no longer completely covered by the former patent, so then you have to get another and another. It’s important to be protected in the sense that if you want to have a chance to develop something and enter the commercial world, you need a patent. Nobody will finance the prototype or the research without a patent or a business plan. As an artist, what is your view on the value of patents and other IP rights? Today, everybody wants music, for instance, for free. If you look at the history of the world, IP—which is in a way the same as respect for the individual—is extremely important for the development of economies. It is something the public participates in, but the inventor still gets recognition. If Picasso had painted Guernica and anyone could copy it or take a photo and use it for publicity or for something completely different from the spirit in which it was created, that would be terrible. A world without respect for individual creativity is completely contrary to what I’m trying to do with our Foundation. I also have an institute in Vienna, the Ustinov Institute Against Prejudice, which is all about promoting respect. I think IP is one form of respect. It’s very important. I do think one problem, as far as getting patents, is that it can be a bit expensive, so if you’re an inventor who doesn’t have a penny, there’s a barrier there. Not all countries have assistance for small inventors, and some countries don’t even have IP offices. It’s very important to have foundations like IPOEF to help promote individual inventors and all of the different inventions out there. What’s your ultimate goal for this invention? The PET construction technique could become a powerful asset to encourage and accelerate development of poorer regions. One idea I have is to create and donate kindergarten units for refugee camps. This is something my Foundation would finance, install, and sustain. But that’s not the only vision I have for the product. I hope that I’ll be able to license out this invention to regions where there is a lot of plastic waste so that they can organize a recycling industry around it. These beams could be provided with instructions for building a house and people could build them on their own, like IKEA. I have photographs in my office of the slums of Johannesburg in South Africa from an aerial view where you can see how people are living. Imagine a child that has to go to school without any light or a decent roof. This would be my dream—to see these units used for education, and to make places like that easier and more pleasant to live.